Ok gents. I live in a very dry climate, and during this time of year - chapped lips are a permanent fixture. I’ve tried the usual suspects: chapstick, Burt’s bees, carmex, Vaseline lip care, etc. - none really seem to do anything (maybe the Vaseline does a little). I use the product 3 times daily (morning, noon, night), but would like to see if anyone has a recommendation for something that makes a significant impact. I’m currently trying out aquaphor - has petroleum jelly, Shea butter, lanolin, etc. Mystic Water makes a great chapstick /moisturizer. I get really, really bad chapped lips during the winter. So, I have started using O’keefes lip repair. It works. I noticed that my lips aren’t chapped at all after just a couple of applications. I buy it at $1 a tube at our local pharmacy. 1903 recipe comes out of your neck of the woods in CO Mike. The only lip balm Ive found that just plain stays on your lips and you don't have to taste it. Definitely worth a try. The only thing to mind is it has no SPF. Stirling lip balm. I use the tube. Very nice. Not greasy and a large selection of flavors that are not overwhelming. I agree with Mystic Water lip balm, although what you're trying out appears to have the same good stuff. My wife has dry lips and, consequently, has tried many lip balms. Most of those you list and maybe 8 or 10 more. She has settled on this one. She orders it from either Amazon or direct from Smallflower. It works so well for her that she's quit looking. Might be something that will work for you. The Aquaphor is great stuff. When i was in 9th grade I got on Acutane, an acne medicine that now has lawsuits against it. It was so bad I remember having to get my kidneys I believe checked every month. Anyways, it caused severe dry lips as it basically tried out you’re whole body. The Aquaphor was the only thing that actually worked. Since those days I still get chapped lips in the winter and always have it on hand. If I’m ever out and don’t have it, I stop into a gas station and get some EOS lip balm, it’s basically the second best thing I have ever used. Not sure why, but I was always told by skin doctors to stay away from Carmex. I have a few jackets and coats with both Mystic Water and Stirling in a pocket but if I am really suffering with chapped lips in the coldest days, Estee Lauder Eight Hour Cream. (12-02-2017, 10:55 PM)tsimmns Wrote: The Aquaphor is great stuff. When i was in 9th grade I got on Acutane, an acne medicine that now has lawsuits against it. It was so bad I remember having to get my kidneys I believe checked every month. Anyways, it caused severe dry lips as it basically tried out you’re whole body. The Aquaphor was the only thing that actually worked. Since those days I still get chapped lips in the winter and always have it on hand. If I’m ever out and don’t have it, I stop into a gas station and get some EOS lip balm, it’s basically the second best thing I have ever used. Not sure why, but I was always told by skin doctors to stay away from Carmex. I’ve been happy with “ChapStick Moisturizer | original” (dark blue label). My wife got me hooked on the stuff a long time ago - although she prefers the original black label version. From what you’re all indicating, it may be a second tier product compared to the others mentioned. Perhaps, it’s time to try something new. So far aquaphor is working well. That said, I’ll hunt for some LIP IVO as it should be easy to source locally. Snowman - I have some jar carmex, but it doesn’t seem to do much. What happens to me is that I’ll forget to use whatever lip product I have until my lips are sufficiently chapped - then it’s next to impossible to get them to recover. Threads like this are part of the reason I like TSN so much. A tremendous amount of good information in this thread. Three brands in regular rotation for me are : Bag Balm, Jack Black Intense Therapy Lip Balm and Welenda. All are awesome for me and I highly recommend each. (12-04-2017, 05:42 PM)mike_the_kraken Wrote: So far aquaphor is working well. That said, I’ll hunt for some LIP IVO as it should be easy to source locally. Snowman - I have some jar carmex, but it doesn’t seem to do much. What happens to me is that I’ll forget to use whatever lip product I have until my lips are sufficiently chapped - then it’s next to impossible to get them to recover. 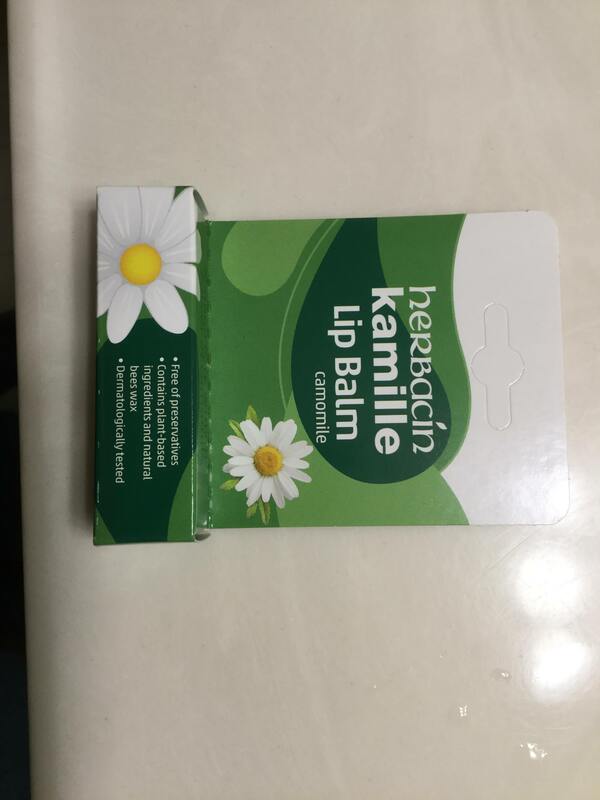 I will also look for lip vio at my local pharmacy.